IKO Polymeric, the UK’s market leading single ply manufacturer has launched a new website, www.ikopolymeric.com. 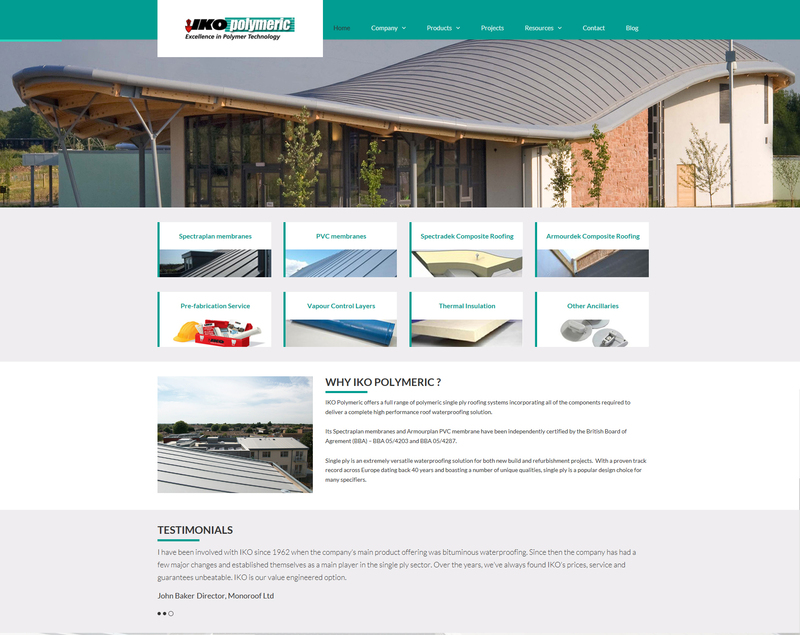 It’s the site to visit for everything about single ply roofing systems, from details of the latest projects to information about products and technical advice. “Our new website is designed to give architects, specifiers, contractors and end-clients all the support they need for projects using single ply – whether that’s choosing between TPE or PVC membranes or exploring our unique pre-fabrication service,” explains IKO Polymeric’s Marketing Manager Buket Aydinlik. Based in Chesterfield, Derbyshire, IKO Polymeric celebrated its 10 year anniversary in 2015 and is the only UK-based PVC single ply manufacturer and the only TPE single ply manufacturer in the world. The new website is the latest is a series of initiatives to cement its market leading position in the UK.